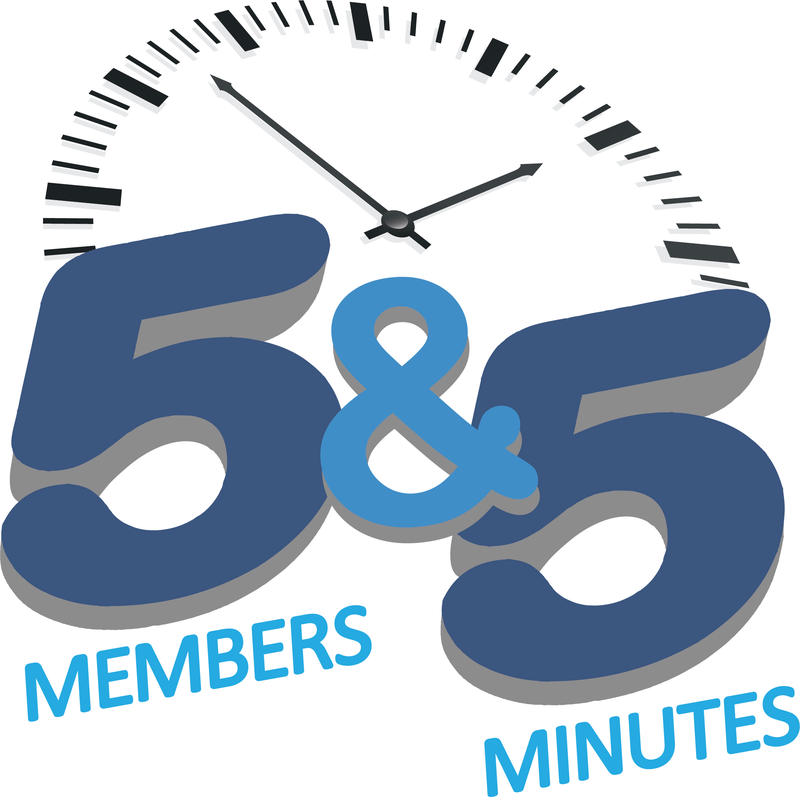 We are launching a new Lightning Round format that we're calling 5 & 5 (five members, five minutes). This will replace our current Lightning Round & door prize give-away format. Members wanting to participate will need to register online through our events calendar. Registration will open up the Monday before the luncheon. Members may participate a maximum of two times per year.